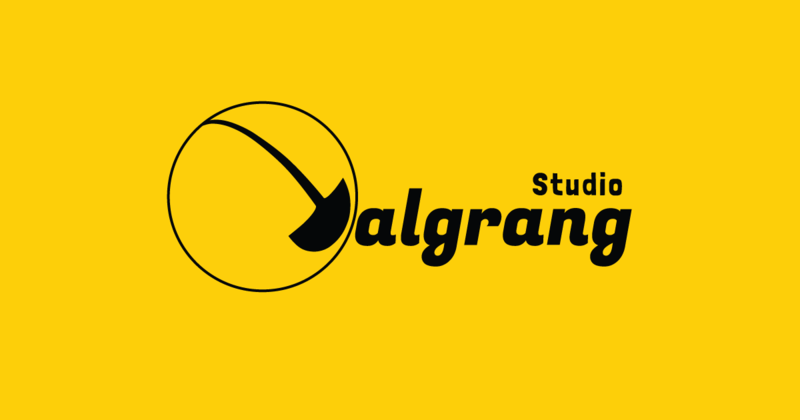 to shape clients' web presence best way possible. 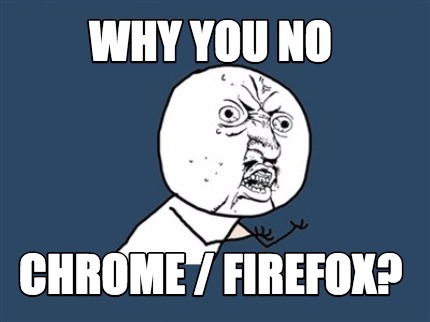 on Chrome, Firefox and Safari! The site facilitates the process of solar power promotion campaign. Solar power suppliers submits their data using the form in the site and the submitted data get published after moderators(site’s administrator) check and approve them. 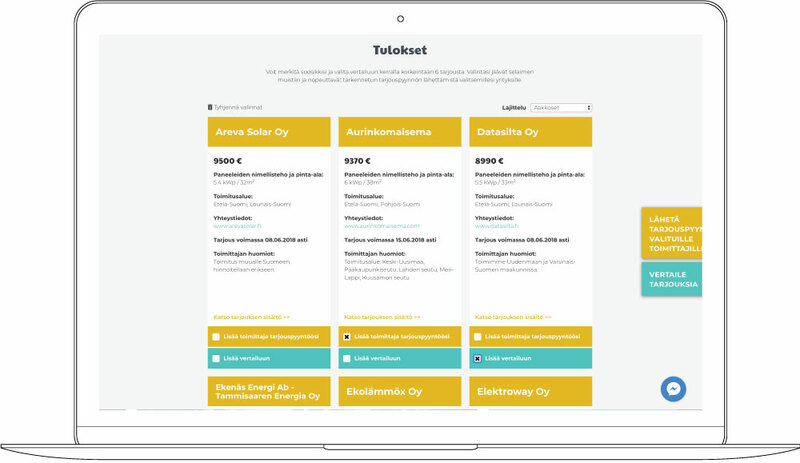 Visitors of the site can sort the data by region, by size of needed solar power, by price and etc. 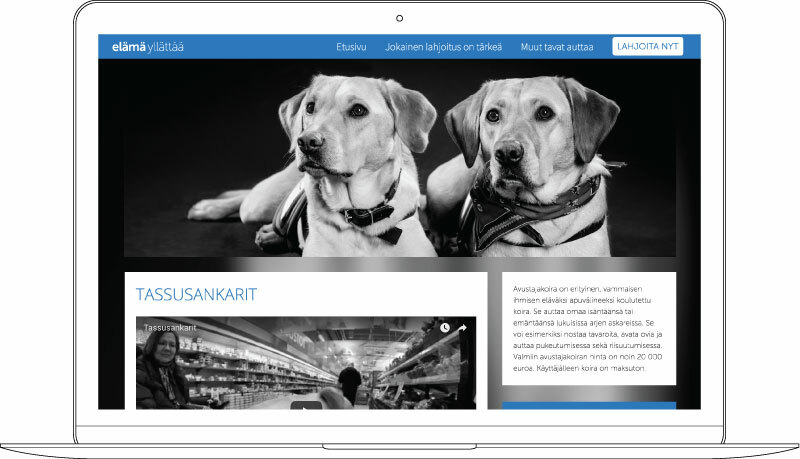 Once visitors choose the suitable offering, they can send ‘tarjouspyyntö’ directly to the suppliers using the form provided by the site. An app-like website that raises awareness of climate change. Users are asked to make choices by swaping cards. The result in the end shows matching percentage and provides tips for improvements. 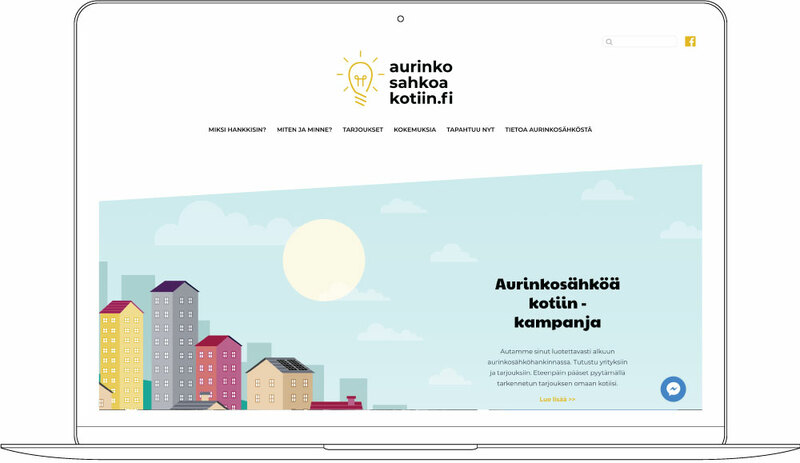 Agenttiseikkailu is an energy saving competition for ‘tokaluokkalaiset’. 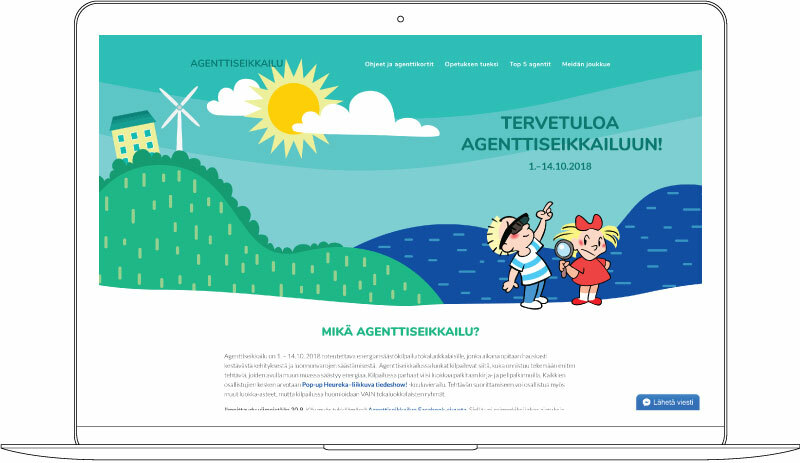 During the 10 days (1.10.2018 – 14.10.2018), tokaluokalaiset mark points on their agent cards when they accomplish given tasks. Each day, teachers submit their classes’ total points to the site. With game-like interface and playful animation, the site motivates and encourages students to save energy. Plus, the competition with other classes all around Finland makes it more fun. How well do you know about the indoor air disease? 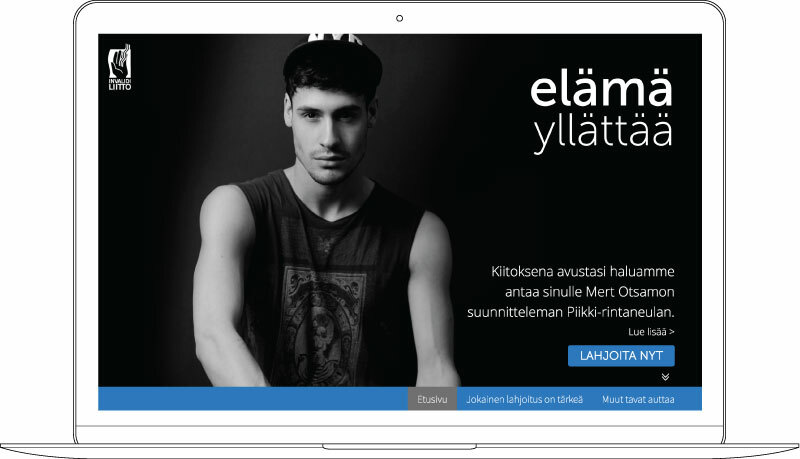 Homepakolaiset.fi helps you to be informed properly. Information regarding the subject is thoroughly organized so that visitors can easily navigate to the part where they are interested in. Sending help to people has never been this easy! Donators can choose not only type of donation(one-time or monthly) but also a target that donated money will be headed to.